If you have naturally straight hair, it’s natural to want curly hair just like those with curly hair desire straight hair. There are just days and special occasions where curly hair looks best. Too bad curling a naturally straight hair isn’t always easy. Handling your long straight hair can be tricky. You may even burn your hair or your hands at one point. But luckily, there’s a solution to all your hair curling problems. What you need is the best hair curler machine. With the right curling machine, you’ll be able to curl your hair quickly, easily and with as little hassle as possible even if you’re not a professional. Now the question is, which hair curling iron should you buy? That’s what we are here for. With so many curler machines to choose from, it can be difficult to just pinpoint one product to buy. But we’ll help you get it right. Whether you’re looking for the best automatic hair curler for short hair, medium length hair or long hair, there’s an automatic rotating curling iron that’s perfect for your needs. After comparing and testing a number of automatic hair curler brands, here are our best recommendations. Have you decided which of the best automatic hair curler to buy yet? If you need more info to decide, keep reading for some hair curling machine reviews below. Who wants salon-like curls without the hefty styling fees? If you love styling your own hair, you’ll love the Remington CI9538 T|Studio ceramic hair curler machine. With over 6,000 automatic hair curler reviews on Amazon, thousands of customers agree that this is definitely one of the best hair curler machine you can invest in. There are a lot of things to like about this product. It only takes 30 seconds to heat up to 410 degrees, and that is one of the reasons why this product can give professional results. But what really makes this a clear winner is the high-tech ceramic barrel with Pearl Ceramic technology that ensures your curls are smoother and will last longer. Additional features you’ll love include the temperature lock, digital display and swivel cord to prevent tangles. Then you also get a heat protective glove to keep your hands protected. 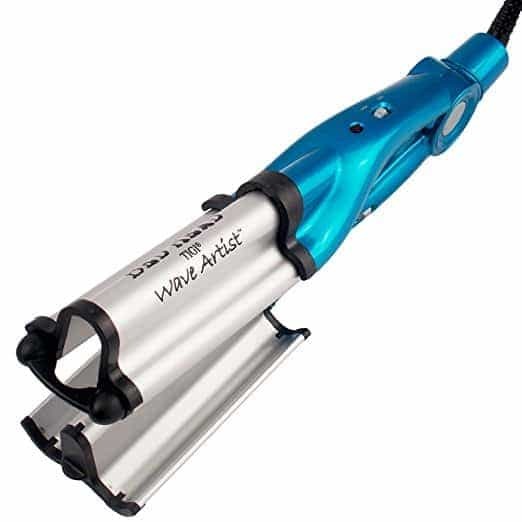 This xtava Satin Wave 5 in 1 hair curler machine offers not just 1 but 5 different barrel types so you can curl your hair in as many styles as you wish. The barrels do not have a cool tip, which means you can take advantage of the barrel’s maximum surface area for faster curling. There are 9 different temperature settings to choose from. If you have a delicate and fine hair, keep the temperature low, somewhere between 250 F and 300 F. For normal hair, 300 F to 375 F is perfect. 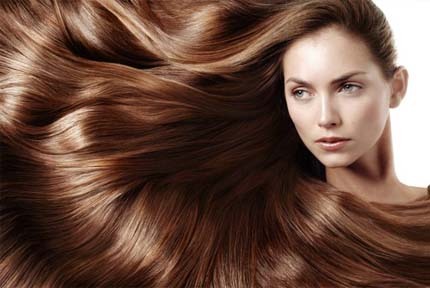 Make use of the maximum temperature of 410 F if you have thick and coarse hair. One of the reasons why some consumers prefer hair curlers with no heat design over electric hair curlers is because of heat damage on hair. Luckily, Conair Tourmaline Infiniti Pro curling machine is especially designed so your hair is subjected to less stress thereby reducing risks of hair damage. What makes it different from other hair curling products is its no clamp design and Tourmaline Ceramic technology. 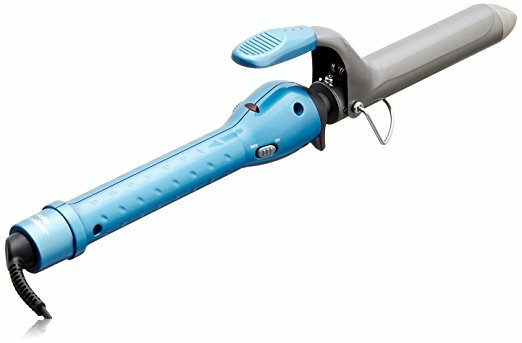 Even if you set the temperature to 400 degrees F, the hair curler machine will curl your hair while eliminating static and reducing fizz. The result is smooth, free-flowing curls and waves that will last all day. If you’re looking for a curl machine for short hair or long hair where you can direct which direction your curls face, then you’ll need this Kiss Products Instawave curler machine. With its patent pending curl dial, you can now decide whether you want your curls facing left or right making hair styling easier than ever. The curler machine is fully automatic. Just a touch of a button to achieve bouncy curls, spiral curls or soft waves. This innovative hair curling tool is definitely a wonder tool. Though it’s a little expensive than most hair curlers we’ve listed, you’ll love how effortless this thing works. The Herstyler Grande Curls machine may not be as popular as some of the other products listed, but this is an affordable alternative on shoulder length hair, if you’re on a tight budget. Like other hair curlers, it does the job without any problems. There aren’t a lot of features to expect. Just advanced negative ion and ceramic technology so you can create a variety of curling styles from loose waves to bouncy curls and ringlets. 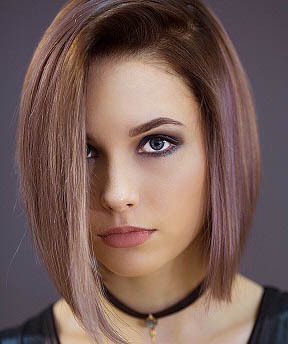 It’s also pretty suitable to use on any hair type. Whether you have long or short hair, wavy or thick hair, fine or fragile hair, this tourmaline hair curler machine will work like a charm. There’s no need to visit your hair stylist for distinctive, shiny and beautiful waves. All you need is this Bed Head Wave Artist curler machine and you’re ready for some beachy waves for the summer. 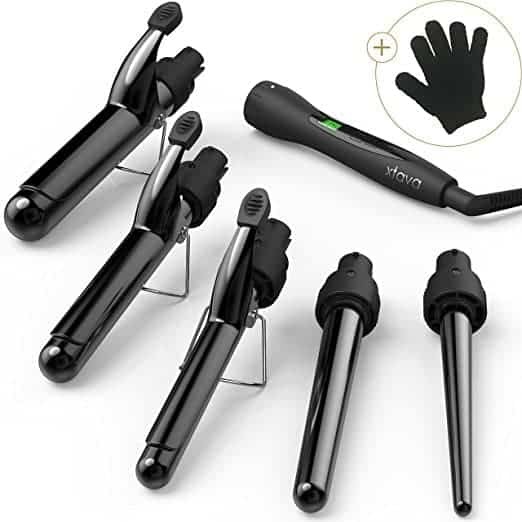 With its tourmaline ceramic technology, this hair curler is designed to heat fast with instant recovery so you can whip up salon-worthy curls quickly and easily. There are multiple heat settings to choose from up to 400 degrees F. No matter if you have short or curly hair, this curling machine got you covered. You can expect uniform, shiny, softer and best of all natural-looking waves every time. Looking for the cheapest hair curler machine that does the job satisfactorily? 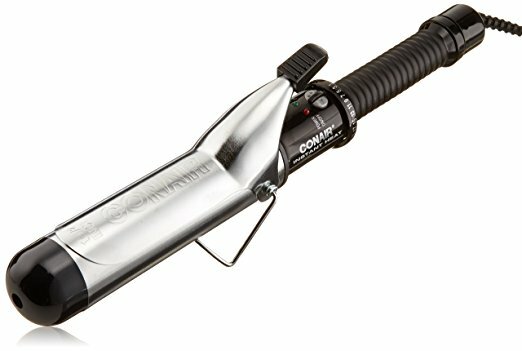 Look no further than this Conair Instant Heat curler machine. For less than $15, this model is one of the most affordable hair curler machines worth a second look. It doesn’t feature a ceramic technology like most of the higher end brands but what it does have is a multi-layer technology. The barrel features a combo of chromium, nickel, copper and steel elements, which is great for medium bouncy curls. 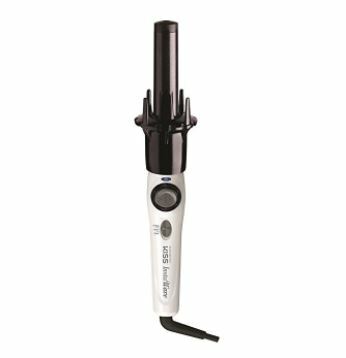 To ensure stabilized heat and uniform curls, the hair styling tool is incorporated with smart technology. Extra long cool tip and safety counter rest makes it easy to handle this curler machine. When it comes to hair care and styling tools, BabylissPRO is one brand you can trust. Their products are generally expensive but it’s often worth it for the results that you’ll get. 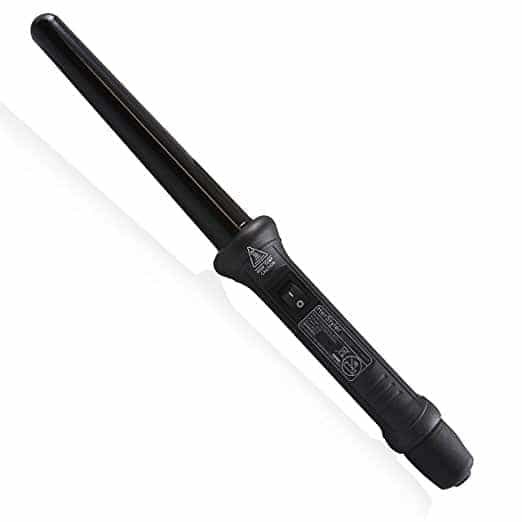 Just take this BaBylissPRO Nano Titanium Spring curler machine for example. Featuring an advanced surround heat technology and a nano titanium barrel, this hair curling iron is guaranteed to produce smooth curls every time. What makes it an even better choice is its overall ergonomic design. From the handle to its weight and swivel cord, it’s super easy to handle. You wouldn’t even need the instructions to get this thing started. That’s how user-friendly this curler is. If you’re looking to invest in the best hair curler machine that can produce well-defined and longer lasting curls, the BaBylissPRO Miracurl Steamtech machine is highly recommended. Instead of the usual barrel-style design, the Babyliss Miracurl Steamtech features a curl chamber that gently works on your hair to produce curls that are shinier, silkier and best of all, longer lasting. What sets it apart from other models is the steam option and its brushless motor technology. Thoughtfully engineered and designed, this curling machine is definitely made for professional results. Try searching for hair curler machines online and you’ll end up with a long list of options you don’t know what to do about. 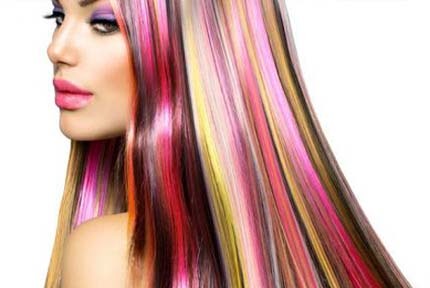 It’s not enough to simply sort out the plethora of electric hair curlers by hair curling machine price. When comparing magic hair curlers, one of the first things you need to look at is size. That’s the size of a barrel or plate depending on the type of curler machine for the hair you buy. If it’s a curling iron, the ideal barrel size is between one and 1.5 inches, which is perfect for different curling hairstyles for medium length and long curls. When buying an automatic hair curler for short hair or long hair, you’ll get the job done faster if you buy a curl machine with higher temperature settings. The higher the temperature, the faster the curling efficiency. But you should also remember that the highest temperature isn’t always suitable for all hair types. 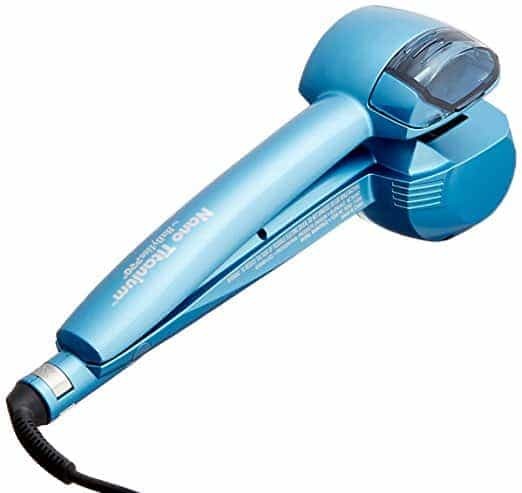 Look for a hair curler machine with different temperature settings so you can adjust the heat accordingly. What good are all the hair curling tips and tricks you know if your curling iron takes a long time to heat up? Look for a curl machine with faster heat up time. Some of the popular options like the Babyliss Curl Secret on curly hair can heat up in 30 seconds, which means shorter waiting time. Whether you’re buying the buying the Babyliss curling iron for short hair or the Babyliss pro perfect curl medium length hair, you’ll want to check if the curler machine has an automatic shut off function. If yes, the curler machine will usually turn off after a period of time to prevent any burning or overheating. The best hair curler machine is a must-have for people who want to conveniently switch between hairstyles. From straight to curly or wavy hair in minutes is possible with the right hair styling tool. 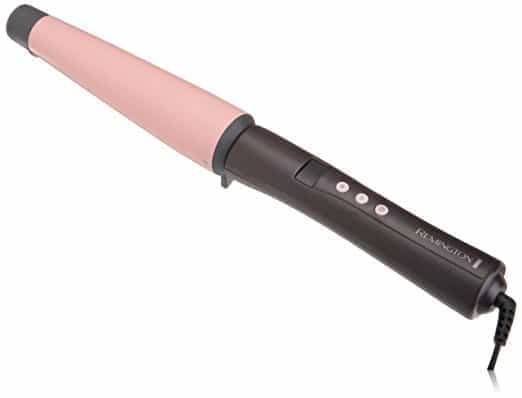 When it comes to curling your hair, you can’t go wrong with the Remington CI9538. Compared with other high-end models, we’d prefer this hair curling wand because it does the job fantastically at a more affordable price. Packed with features, it has all you need to style your hair conveniently and quickly too. Are you more into hair rollers? Again, we got you covered with the best hair rollers on the market!